We carry the entire Brunswick range of chairs and tables, which are available exclusively through Home Leisure Direct in the UK. We are passionate about the Brunswick range of games room products, made by craftsmen in the USA to the highest standards, with top quality materials, using skills and techniques handed down through generations of skilled artisans since 1845. The Brunswick furniture range has a variety of high quality chairs, tables, stools and shelving, with handy game playing features and hidden storage spaces, to suit all of your games room needs, adding a touch of class all the while. The range of Brunswick chairs and tables come in a variety of finishes to go with your home interior and to match other Brunswick products including pool tables and shuffleboards across the Authentic and Contender ranges. These Brunswick chairs and tables look fantastic when coupled with Brunswick pool tables and shuffleboards, and with the choice between Brunswick and Contender products, anyone can afford to make their games room a stylish space to spend their leisure time in comfort with friends and family. 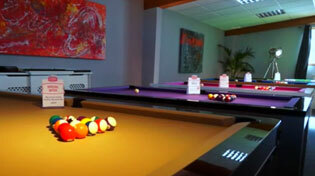 For more games room products from this manufacturer please see our Brunswick section. Also see our Brunswick History section for more information about this manufacturer and its long history in making billiards and games room products. We hold many Brunswick products in stock, but if they need to be made to order, it can take from 6 to 13 weeks to be manufactured and shipped from the USA. Once it has arrived to our warehouse, our delivery team will contact you to arrange a delivery date. Please note: all products are handmade by craftsmen, therefore all dates for availability are approximations. Your new Brunswick furniture will be professionally handled by one of our fully insured specialist two man delivery teams. It will be placed in a ground floor room of your choice, and all packaging removed. Our team will professionally construct this item and ensure that it is ready for you to use. The whole Brunswick furniture range is covered by a manufacturer's 1 year warranty. For more details, visit our Brunswick Warranty page.